"In an age of big data, data journalism and with a wealth of quantitative information around us, it is not enough for students to be taught only 100 year old statistical methods using 'out of the box' software. They need to have 21st-century analytical skills too. 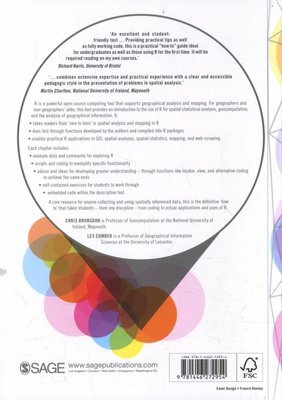 This is an excellent and student-friendly text from two of the world leaders in the teaching and development of spatial analysis. It shows clearly why the open source software R is not just an alternative to commercial GIS, it may actually be the better choice for mapping, analysis and for replicable research. Providing practical tips as well as fully working code, this is a practical 'how to' guide ideal for undergraduates as well as those using R for the first time. It will be required reading on my own courses." - Richard Harris, Professor of Quantitative Social Science, University of Bristol R is a powerful open source computing tool that supports geographical analysis and mapping for the many geography and `non-geography' students and researchers interested in spatial analysis and mapping. This book provides an introduction to the use of R for spatial statistical analysis, geocomputation and the analysis of geographical information for researchers collecting and using data with location attached, largely through increased GPS functionality. 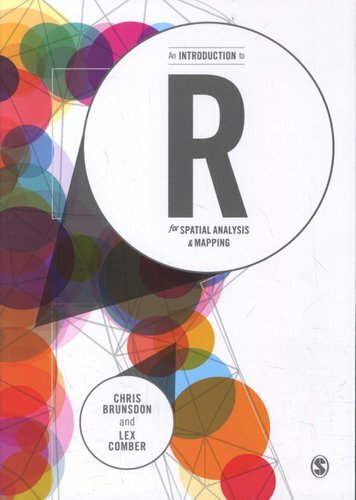 Brunsdon and Comber take readers from `zero to hero' in spatial analysis and mapping through functions they have developed and compiled into R packages. This enables practical R applications in GIS, spatial analyses, spatial statistics, mapping, and web-scraping. Each chapter includes: Example data and commands for exploring it Scripts and coding to exemplify specific functionality Advice for developing greater understanding - through functions such as locator(), View(), and alternative coding to achieve the same ends Self-contained exercises for students to work through Embedded code within the descriptive text. This is a definitive 'how to' that takes students - of any discipline - from coding to actual applications and uses of R.